Hello, reader! 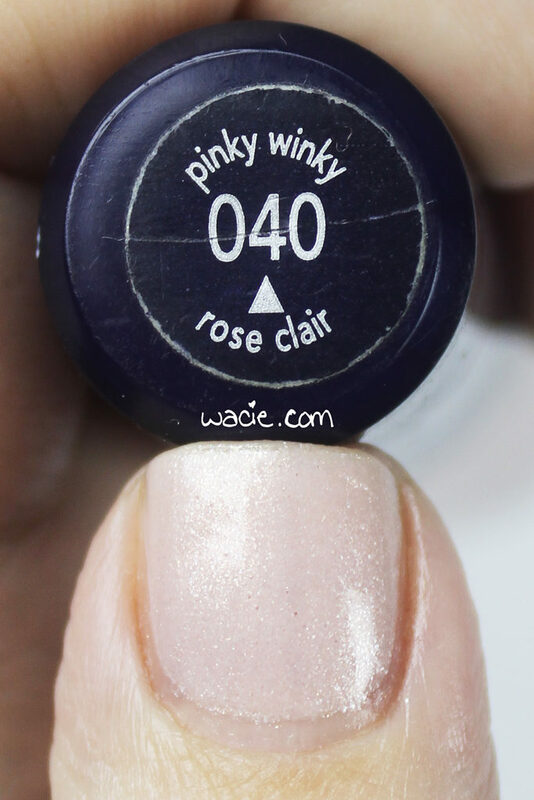 For this week’s Swatch Saturday, I’m wearing another labelless vintage polish. This time, the shade label is there, but the brand label is missing. I’m pretty confident this is a Cover Girl polish, though. 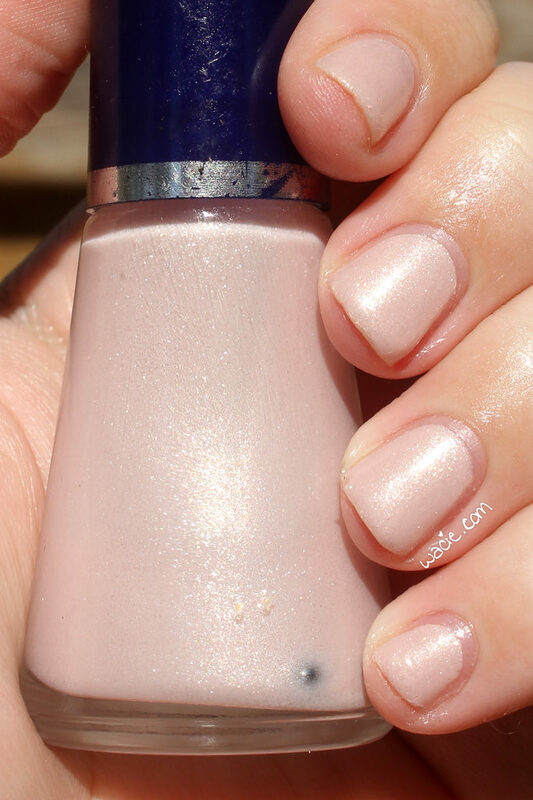 I’m also pretty sure this polish comes from around 2005. 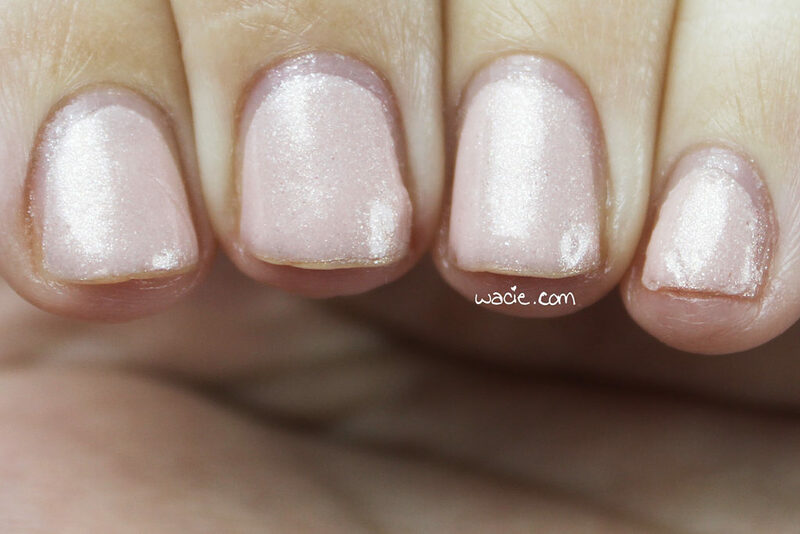 This is Pinky Winky; I used three coats with one coat of Dream Polish‘s Gem Glam top coat in the Melon Baller scent. 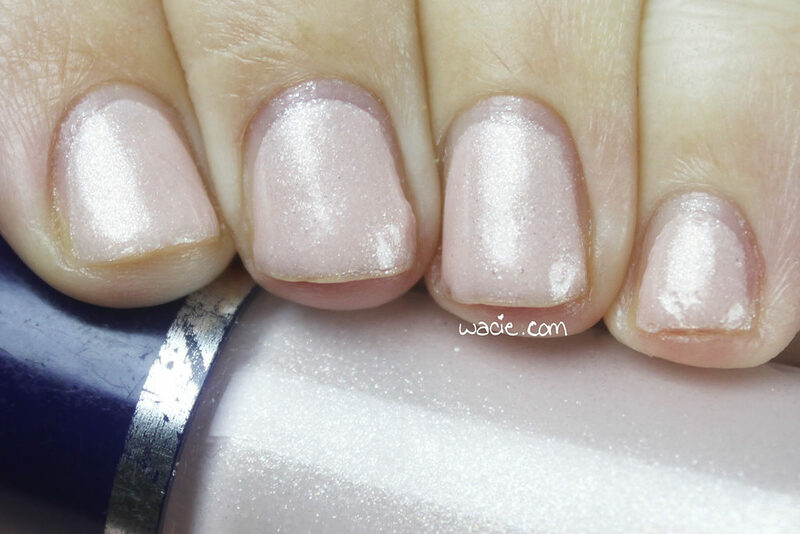 Pinky Winky is a frosty pale pink polish. Application was good, but I did have some issues with the product consistency. 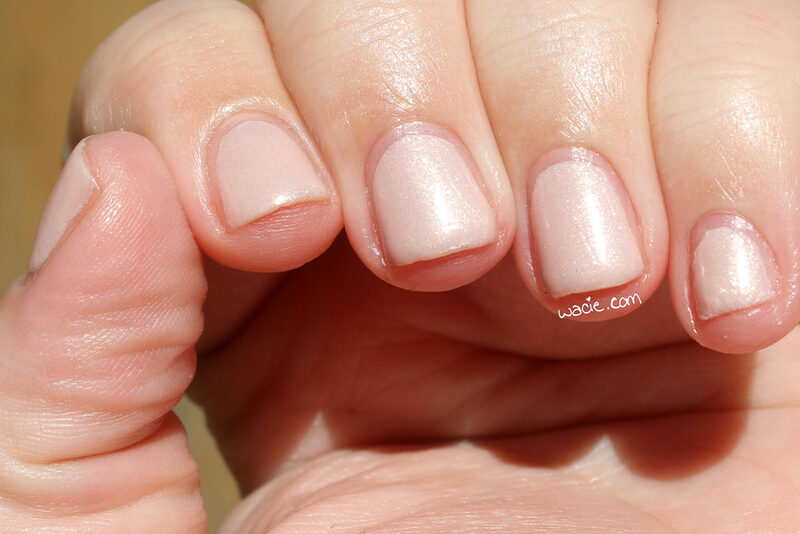 Of course, that’s to be expected with ten year old polish, and it’s my own fault for not thinning it out first. The polish went on well, but was thick and took quite some time to dry, even with quick-dry top coat; you can see some dings in the polish in the photos. I don’t know if this isn’t also the reason the tips show so much wear, but it could be. The polish dried with a glossy finish, but I used top coat for extra shine. I quite like this polish, even though it’s a weird look for me. It’s probably not as weird as I think it is. It’s just so pale, so dainty. It’s pretty but I don’t feel like it suits me. It’s nearly the same color as my skin. 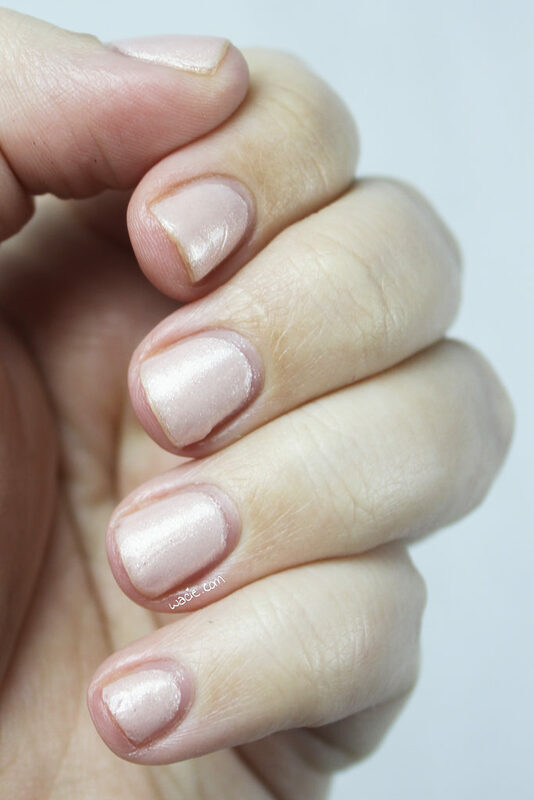 I always wanted the perfect mannequin polish, the one that makes my nails seamless from my hands, but now I’m not sure I like. Be careful what you wish for, I suppose. I’d probably like it more if my nails were longer. The following photos were taken in direct sunlight. The shimmer is very pretty out here, but the sun does overpower it a bit. It’s still pretty. This polish is likely discontinued; Cover Girl polishes are sold nationwide. 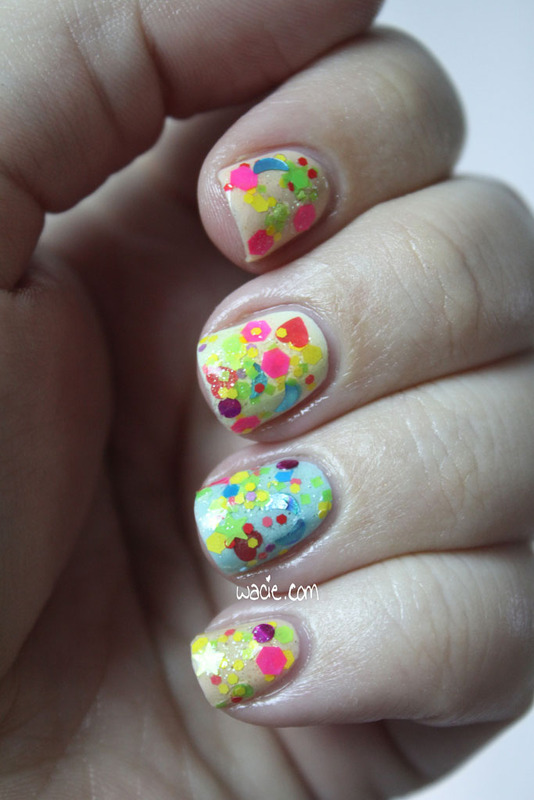 Swatch Sunday!! 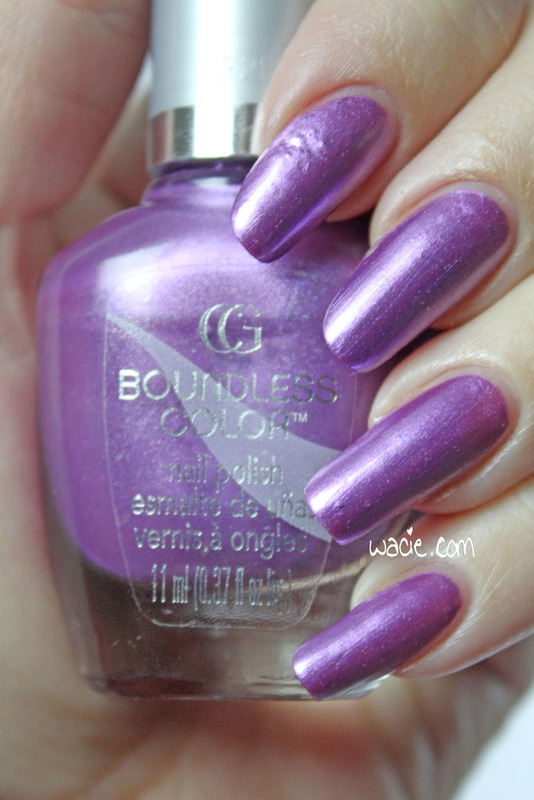 Cover Girl is the brand we’re looking at today, and this oldie but goodie is called Grapevine. 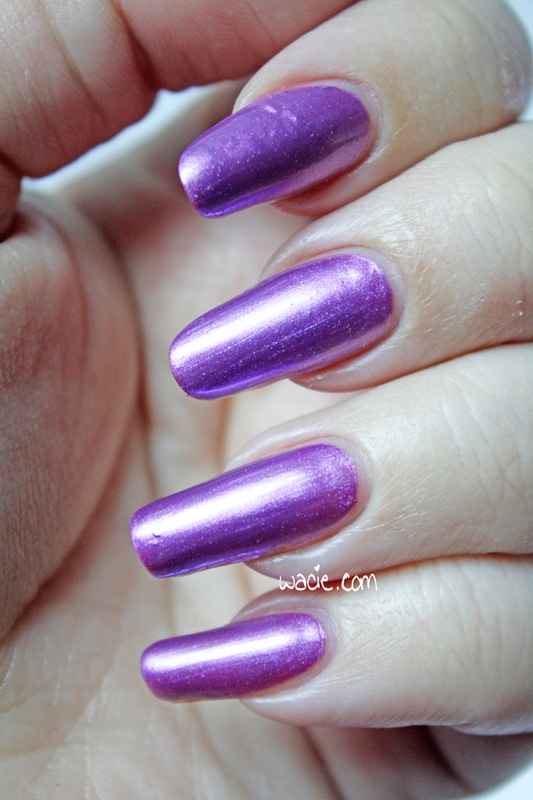 I’m wearing three coats of Grapevine with one coat of Ciate Speed Coat Pro top coat. The smudge on my index finger is actually a spot where a bit of nail lifted and peeled away. That sounded way less gross before I typed it. 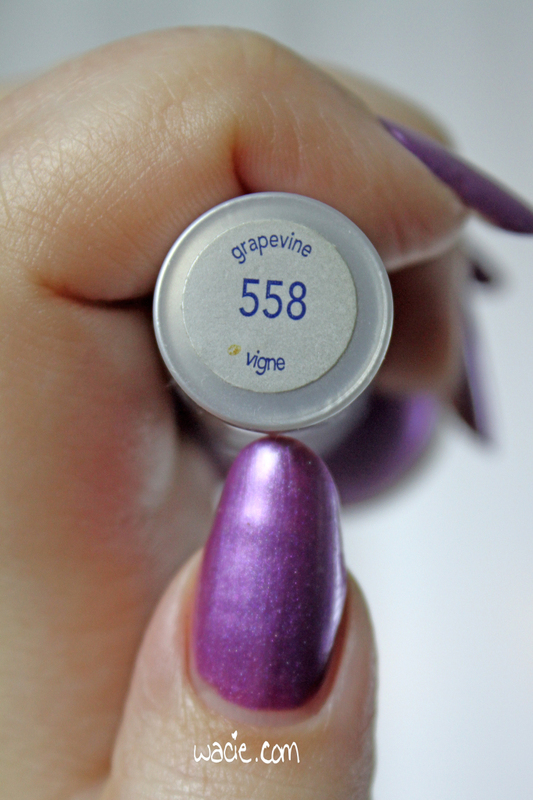 Grapevine is a frosty purple polish. This is a pretty nice formula; the consistency was just right, application was super easy, and it dried quicky and with a satin finish. It’s also really shimmery; I forgot for a second that I wasn’t wearing Fairy Dust over it. It doesn’t look that shimmery in photos, but it’s definitely all there. It’s really nice to wear. 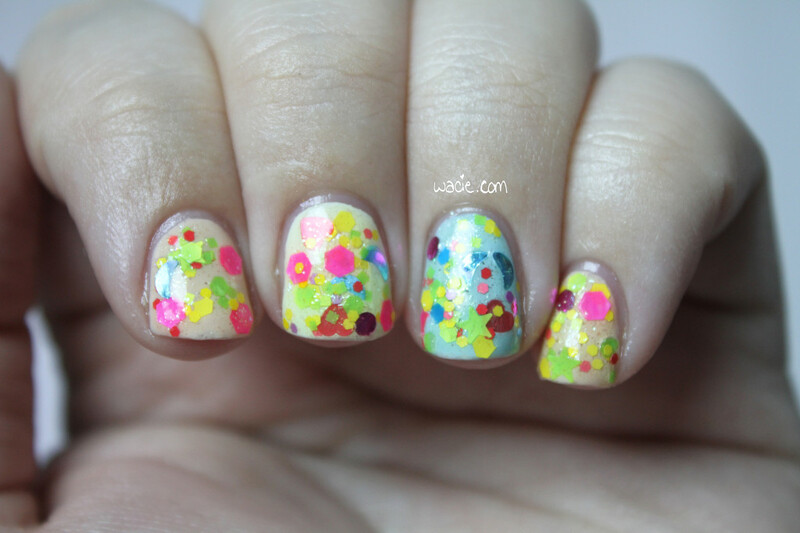 I have had this polish for a really long time. I’m thinking 2008 or so. It’s one of my oldest bottles, but has barely been used. 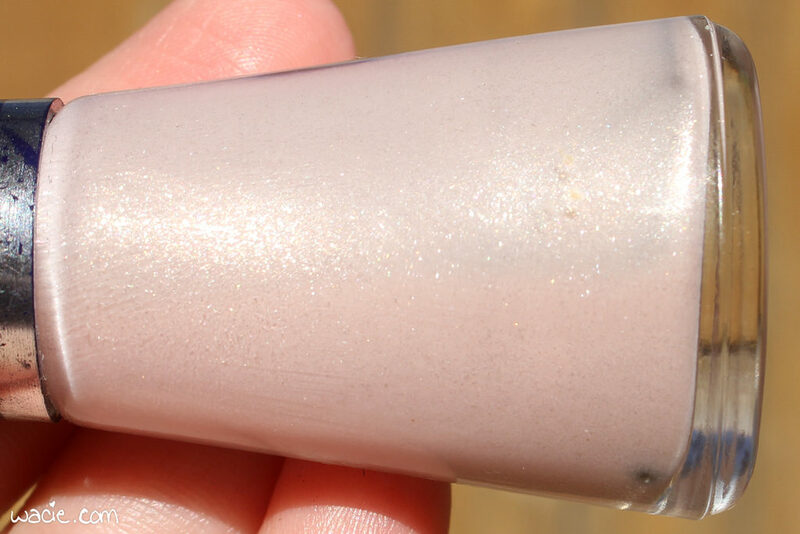 This particular brand and formula have been discontinued, and while there is still a Cover Girl color called Grapevine, it does not appear to be the same. I do not have it, but I should probably buy it and do a comparison. 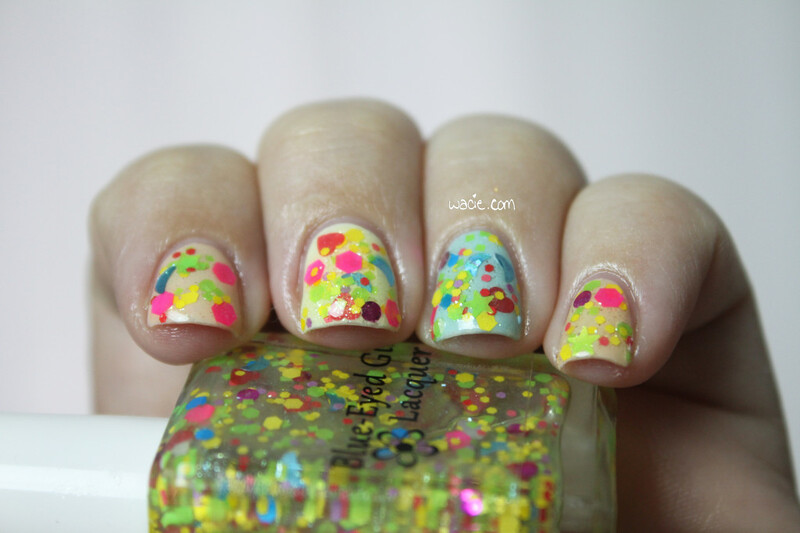 Swatch Saturday this week is glitter chaos! 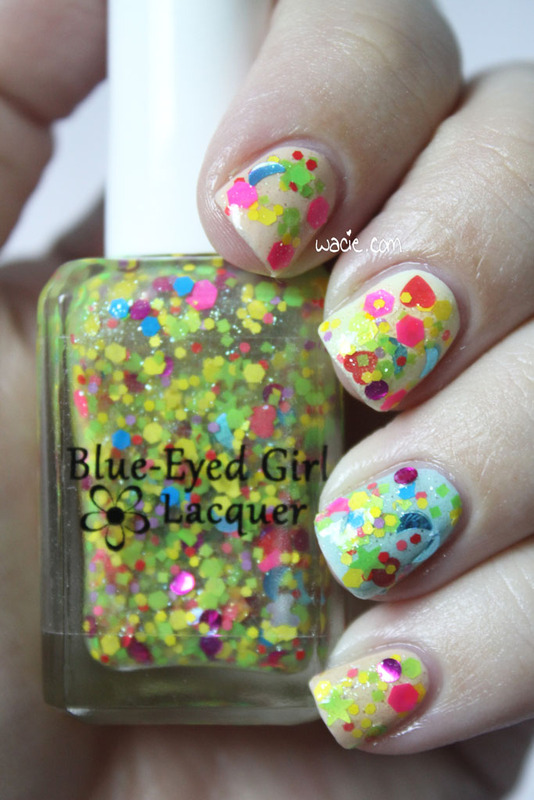 I’m wearing Self-Satisfied from Blue-Eyed Girl Lacquer, a smorgasbord of neon glitters. I’m wearing one dabbed coat over Eaton Terrace from Nails Inc., and Saltwater Taffy and Skylight from Cover Girl, topped with one coat of Color Club’s clear coat. BEGL describes Self-Satisfied as a glitter topper “predominantly yellow and green neon glitters with pink, blue, orange, and purple neon glitters, baby blue holo moons, fuchsia dots, and silver holo butterflies”. I’m not sure it’s possible to count every size, color, and type of glitter in this bottle. Attempting to do so would probably result in some kind of head-clutching space madness. Since I dabbed this polish on, I’m not sure how long it took to dry, but it seemed dry enough after a 15 minute drying period. 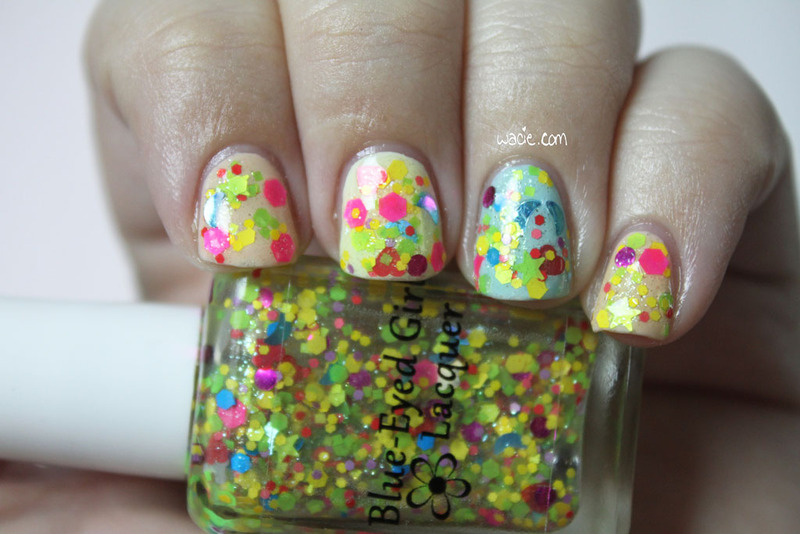 The glitters spread evenly enough, but I will admit that I placed a few here and there, just to cover some bare spots. Application is pretty typical for a glitter topper like this, but the look you get is so unique and so worth it. This isn’t the first time I’ve worn Self-Satisfied; I brought it on vacation with me a couple months ago. 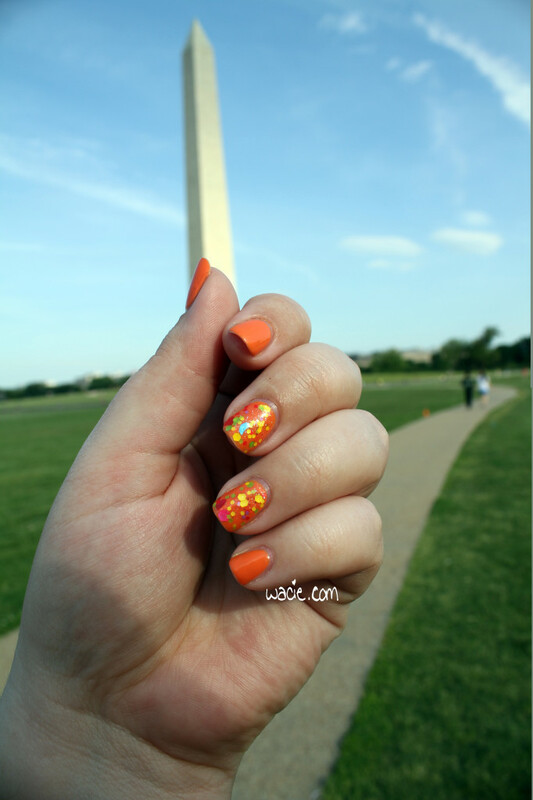 I took a picture of my nails with the Washington Monument. I’m wearing it over Julep’s Cody. Self-Satisfied, and well as its insane pink counterpart, Watch the Walls, are on sale at the BEGL store for $6 each. 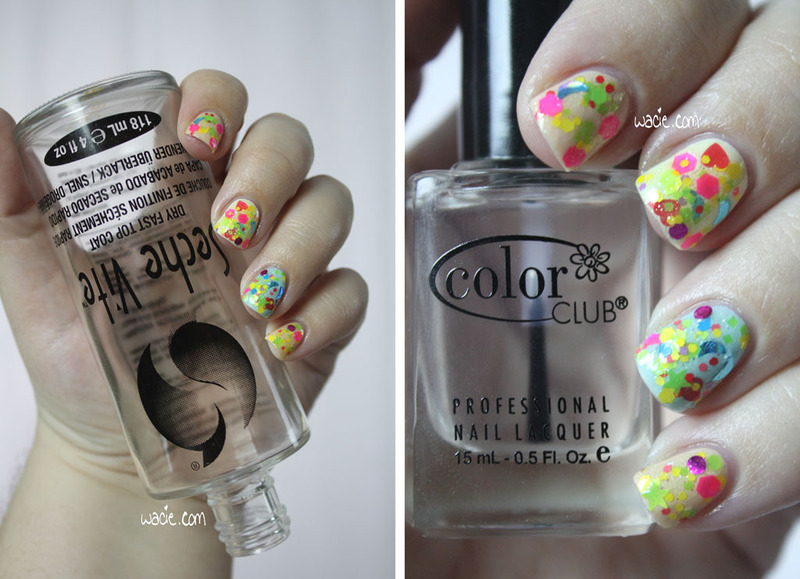 I adore both of these polishes, and I definitely say they are worth grabbing. I’m going to hijack the end of this post to say goodbye to an old friend. 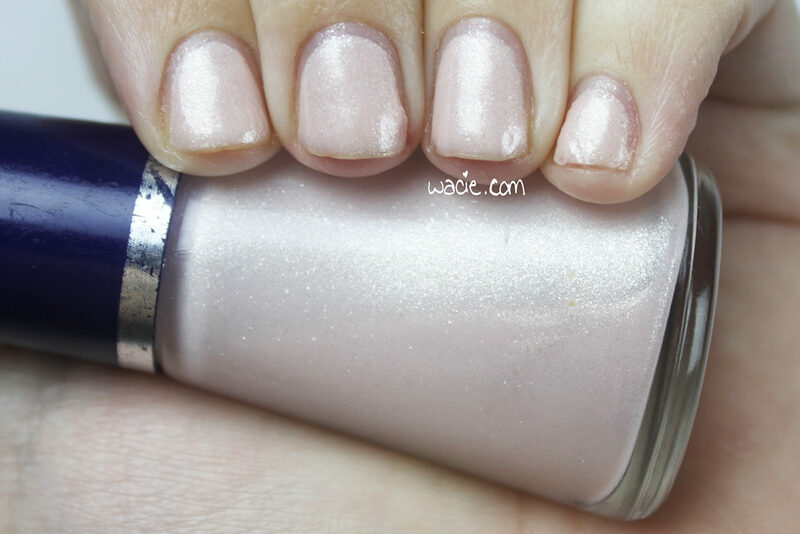 Last August, I bought a four ounce bottle of Seche Vite. Everyone thought I was crazy to buy so much at once, but I was living alone at the time, I couldn’t get to Sally Beauty whenever I wanted, and I got tired of having to buy a new bottle every few weeks. It was so worth the $15 I paid for it. Last Wednesday, I used the very last of that giant bottle. 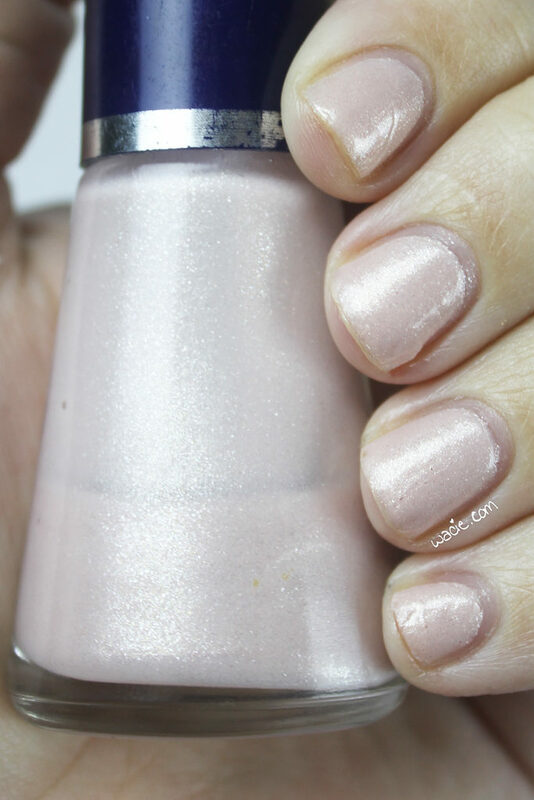 That giant bottle of Seche Vite has gotten me through nearly every manicure in the past year. Good night, sweet prince. This is the day I got it. My polish is OPI’s Get Your Number. My interim top coat is Color Club’s clear coat. I’m not sure if this is a full-fledged top coat, but it dries quickly and leaves a nice shine, and that’s enough for me. This is my first time using it, so I don’t know how well it’s going to wear, but we’ll find out. Either way, it’s fun using something new.